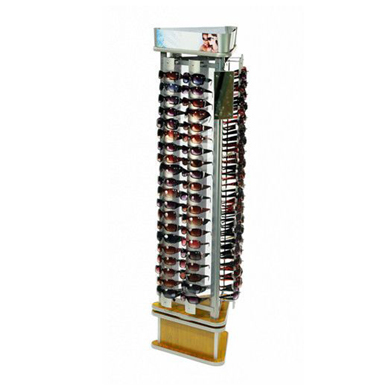 This Sunglasses Floor Spinner holds 120 pair of glasses. Silver frame with anodized aluminum panels, chrome nose pieces and cherry base. Glass mirror on top with an interchangeable header sign holder so you can create your own message. 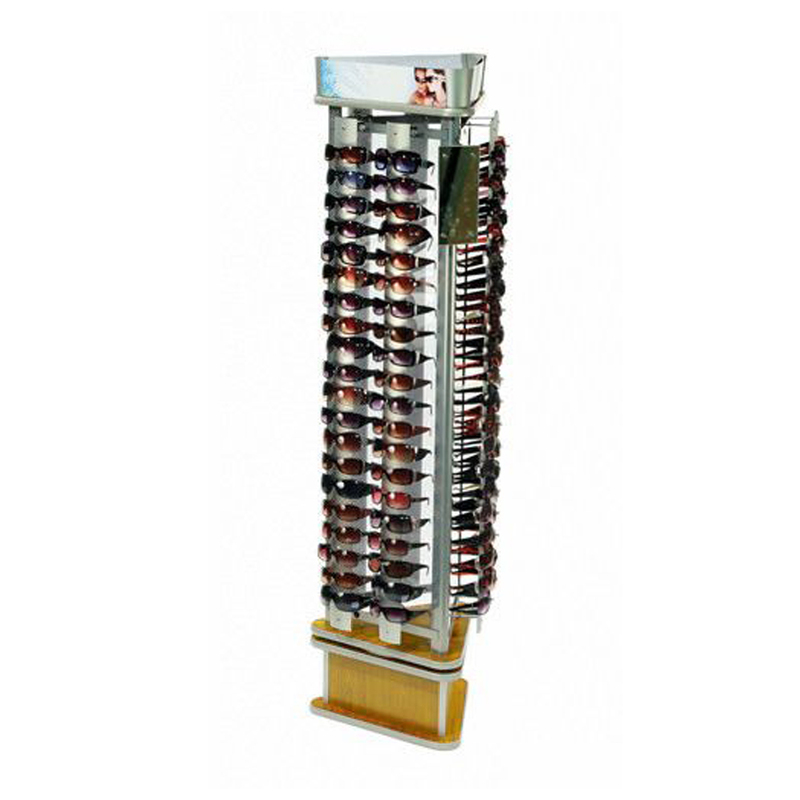 Display only, eyewear shown not included with purchase.